Gala Pa More! 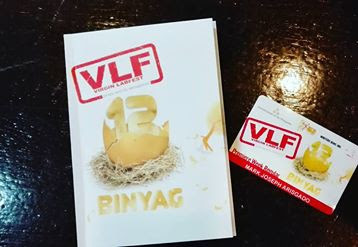 : Theater Review: The 12 Virgins of "The Virgin Labfest 12: Binyag"
The Vigin Labfest 12: Binyag (VLF 12) hatched from its egg last June 29, 2016. I was able to catch all the 12 new plays as they saw the light during the first week. 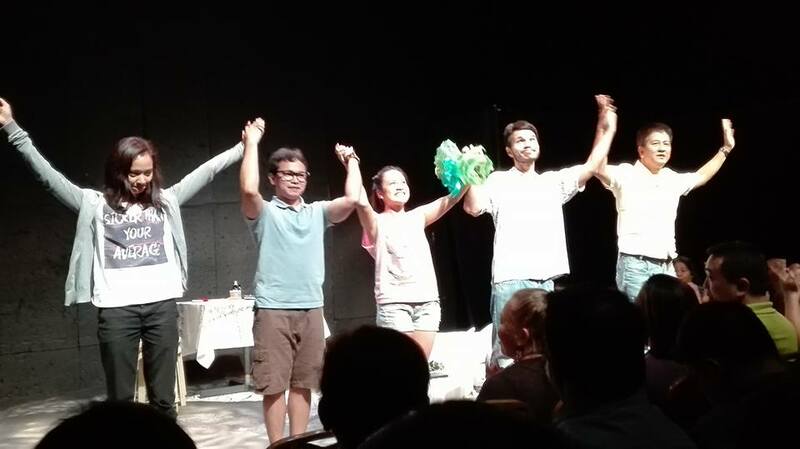 Being the cream of the crop this year with 197 submissions, the plays in VLF 12 tackled various offbeat topics that would bewilder the audience. There were 5 sets that included the 12 plays (SET A-D) and the revisited plays, composed of the three best plays last year (SET E). Each ticket costs Php 350/set. 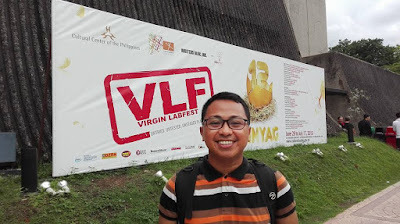 I availed of the Festival Regular Pass for the Premiere Week for Php 1,400 (with a savings of Php 350). However, with all the surprises and twists popping right before me for five straight days, what I spent for The Virgin Labfest 12: Binyag was really worth it. 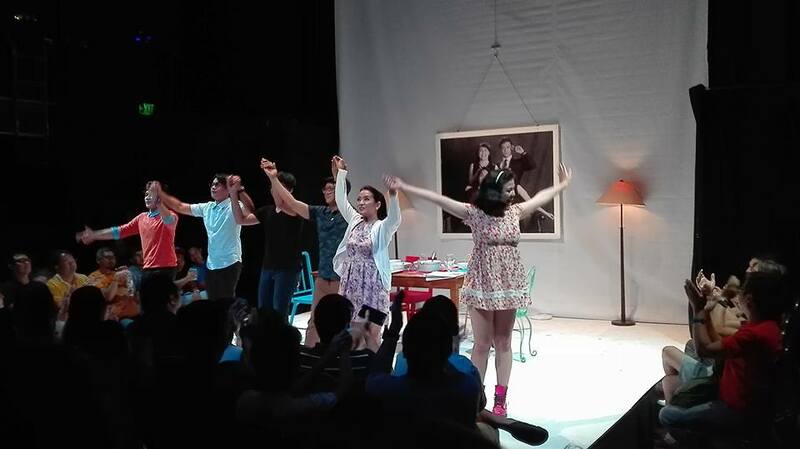 In my Facebook posts right after the show, I put my initial thoughts on the plays on each set. 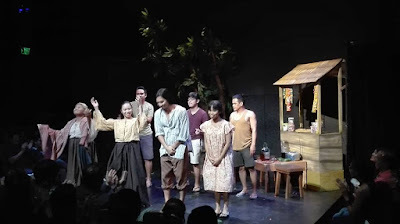 I would like to add my other insights about the plays in this blog entry, particularly, what to watch for in each of the stage plays. 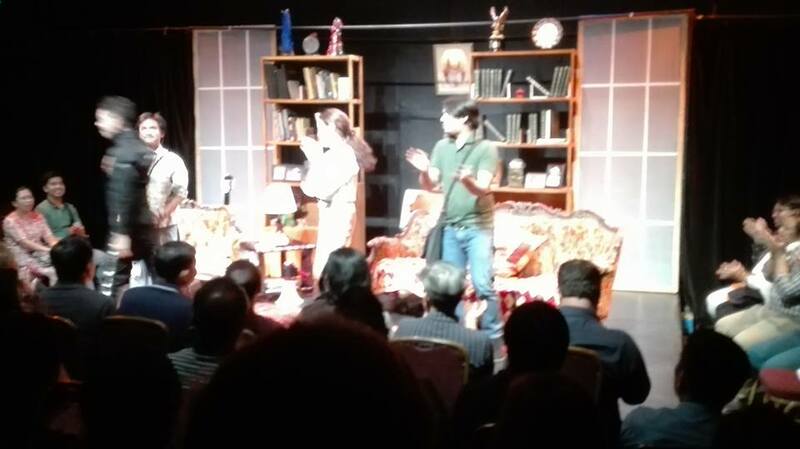 A story of father-daughter love, this play is about acceptance and letting go. Knowing that the brilliant Mailes Kanapi is included in the cast, you’re assured that this is a no-nonsense drama. 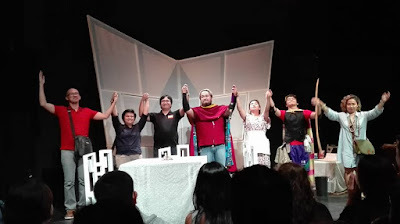 Cast, Playwright and Director of "Dahan-dahan Ang Paglubog Ng Araw"
“Sugilanon” (in English, “stories”) reminds me of one of this year’s revisited plays, “Si Maria Isabela At Ang Guryon Ng Mga Tala”. While Maria Isabela travels places to collect all the materials for the gigantic kite that would fly her to the stars, Epefania controls the weather to prove her love. So much for teenage admiration, huh?! 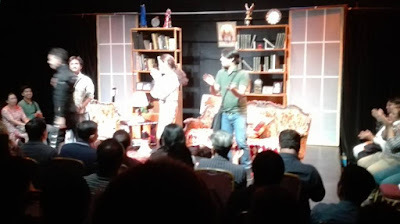 You would love Epefania and the three drunken men in the play! Cast of "Sugilanon Ng Kabiguan Ni Epefania"
A story of friendship, “Si Jaya, Si Ronda, Si Barbra At Si Barbra At Ang Mahiwagang Kanta” is a funny play that explores the lives and issues of three middle-aged friends, set inside a videoke bar on a Halloween. Be ready to laugh out loud and roll on the floor with all the punchlines you’ve never heard before! 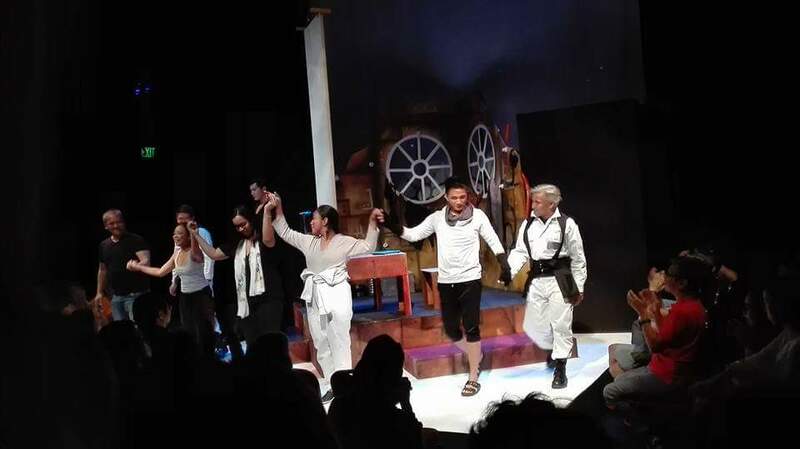 Herlyn Alegre’s play is another heart-breaking drama about four refugees of civil war and their quest to find a new home and start a new life. What I live about Alegre's plays (at least from what I've seen so far) is that she gets inspiration from events abroad and make it "Filipino", like her last year's "Huling-Huli". The boy who’s always being punished by his father would opt to stay inside the drum, despite the persuasion of his sister because he feels safer being inside that container than outside. 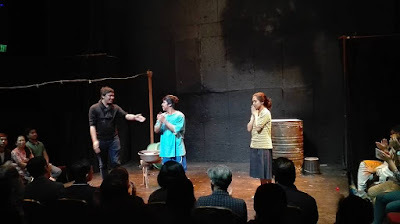 I love the accent of the actors in this play, and yes, the whole time, the boy stayed inside the drum. 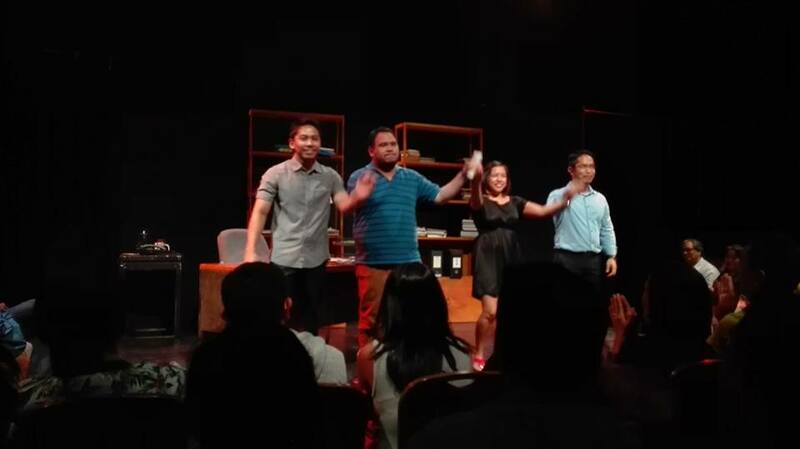 Cast and Director of "Ang Bata sa Drum"
I would guess that this play is partly autobiographical. The young Kanakan Balintagos, the name of character in the play (and the name of the playwright, as well) argues with his mom, who’s a Marcos loyalist, about the truth behind the Marcoses. 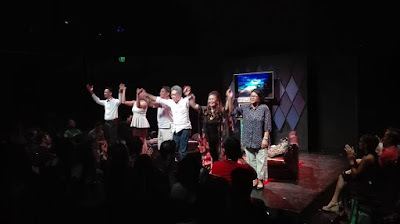 This, indeed, is a timely and relevant play that needs to be show to the 14M oblivious voters in the recent elections who desired to welcome the Marcoses to Malacanang, as if nothing happened. Cast, Playwright, and Director of "Loyalist"
Jean and her husband Brad left the revolutionary movement years back. As they face challenges in their relationship, Jean, who is in search for love and affection, is left confused. As she goes through her struggle, her friends from way back visit her, and reminisce the good old days they shared, leaving her more confused. This play makes you understand that members of revolutionary movement are also capable of loving, and they also experience the same problems of ordinary people, in terms of love. Perhaps, even more complicated. 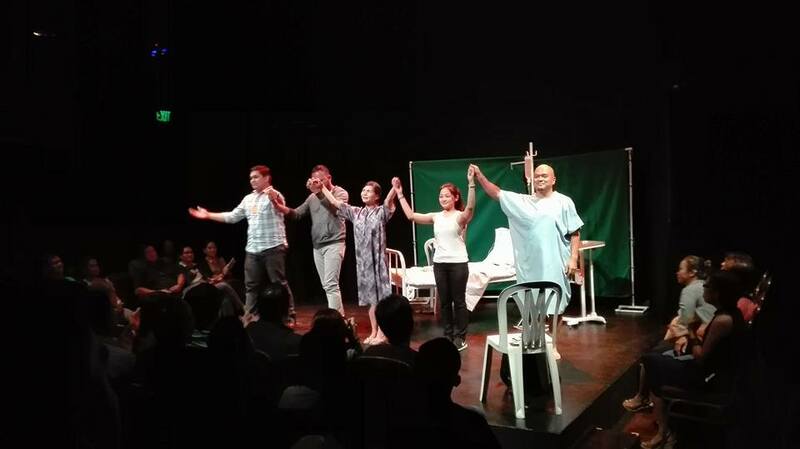 Cast, Playwright, and Director of "Ang Mga Bisita Ni Jean"
A Christian kid eventually died when he’s pushed by a Muslim classmate from the building, when the former desecrated the Quran, or Islam’s religious text. The exchange of dialogues between the teacher and Muslim kid’s father will make you think if it’s a crime to defend your own faith. Cast, Playwright, Director of "Bait"
Fans of comic books would love this story of a family where the ordinary housewife, a kakanin (rice cake) vendor is perplexed about the revelations from his husband who claims to be the superhero in the comics “Mula sa Kulimliman”, and is tasked to defeat Brukuka. 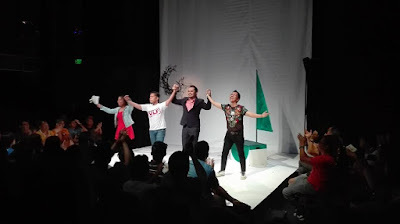 Accepted as a staged reading in The Virgin Labfest 11, “Mula sa Kulimliman” definitely deserves to be staged this year. 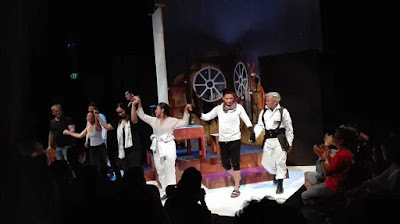 Cast, Playwright, and Director of "Mula sa Kulimliman"
Eliza Victoria’s futuristic play, “Marte”, is set in Mars, where Filipinos would be sent to work in factories. Yes, story opens the possibility of our OFWs finding jobs not only in other countries, but in other planets, as well! 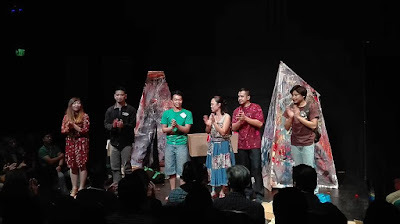 However, as the the play postulates, the oppression of workers would prevail, regardless of location, as long as the system and the leaders perpetuate this. Among all the plays, “Marte” has the most impressive set design for me. 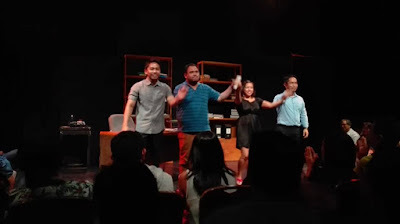 Cast, Playwright, and Director of "Marte"
Cast, Playwright, and Director of "Daddy's Girl"
Cast, Playwright, and Director of "Hapagkainan"
With these “untried, untested, unstaged” plays, The Virgin Labfest, proves that, indeed, the Philippine theater is alive! Catch their remaining shows until July 17, 2016. 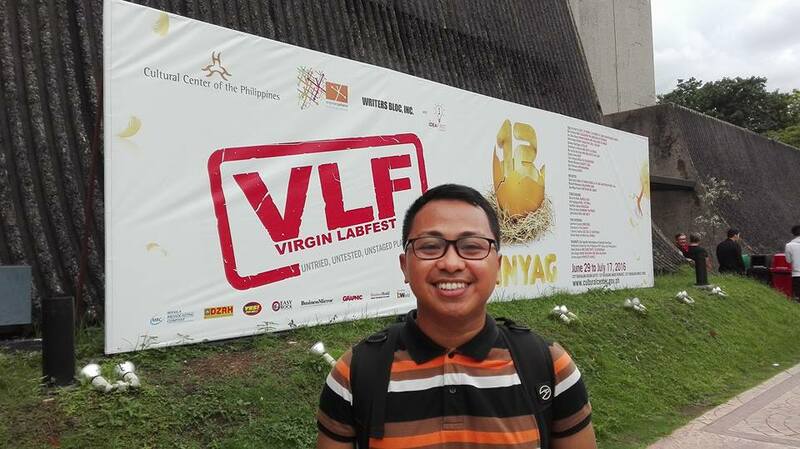 Visit the Virgin Labfest Facebookpage.